There are so many indie-pop bands around these days that it's often hard to separate one from the other. 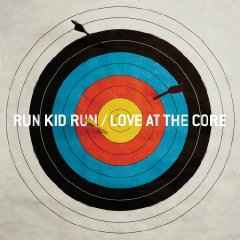 You can go to shows and see a parade of different aspiring musicians all waiting to strike it big--but some of those bands have more important things on their mind.Run Kid Run has drawn music fans to them who are looking for more -- both of their music and out of their lives. Much of their music asks questions of its listener, prodding them to come up with an answer. 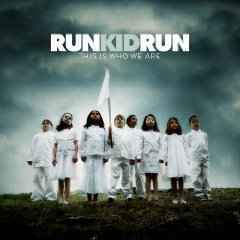 Seemingly in response to the question of identity, Run Kid Run titled their first album "This Is Who We Are" (2006). Produced by James Paul Wisner (Dashboard Confessional, Further Seems Forever, New Found Glory) "This Is Who We Are" is about finding your true sense of self, and then holding on to that with all you have," says guitar player Neil Endicott. "We want people to have something they can listen to that makes them feel better about whatever is going on in their life." 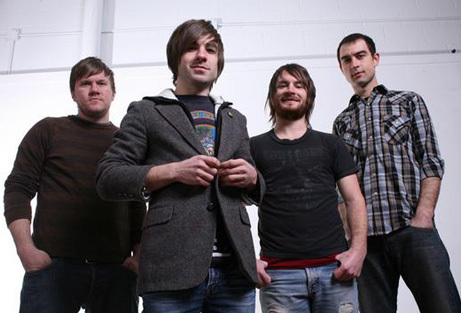 Based on the theme that God is central to the essence of life, the band named their sophomore release Love at the Core in 2008. “On this record we set out to find what love really entails. ‘Love at the core’ just nails the point that, in all situations, the heart of love always has to do with God,” say guitarist Neil Endicott. The project opens with “Rescue Me,” a cracking good slice of Jimmy Eat World-styled pop driven by the distinct voice of singer David Josiah Curtis whose enunciation and timbre also bring to mind The Police in its heyday. That concept of lost ones returning to faith gets even stronger on the instantly memorable first single “Captives Come Home” where the urgent lyrics perfectly match the ignited musical performance as Curtis sings Leave behind false sense of hope . . . Let’s look inside that box you’ve closed. It only opens when your life explodes. Run Kid Run has found that their faith and their thoughtful music both serves as praise for God and the beauty in creation.